Yesterday, 20 March 2019, marked the two-year anniversary of when twelve United Arab Emirates (UAE) officials forcibly arrested Ahmed Mansoor, an award-winning human rights activist, at his home in Ajman in 2017. Following his arrest, Mansoor was forcibly disappeared, kept in solitary confinement, and denied access to an attorney. Ahmed Mansoor was arrested in 2017 in relation to social media posts critical of the government. A few days later, United Nation (UN) experts sent an allegation letter to the UAE authorities calling for the immediate release of Ahmed Mansoor. They stressed that the lack of an arrest warrant and any judicial oversight during his arrest and detention breached “the fundamental principles of due process under international human rights law.” Despite this letter, Mansoor remained in detention, and on 30 May 2018, over a year after he was arbitrarily arrested, Mansoor was convicted of insulting “the status and prestige of the UAE and its symbols”, publishing “false information and rumours,” and promoting “sectarianism and hatred.” These charges were in relation to tweets Mansoor posted calling for the release of blogger and human rights defender Osama Al-Najjar, who had been kept in prison for more than a year after serving his original sentence. Mansoor was sentenced to 10 years imprisonment. On 12 June 2018, UN experts called again on the UAE to release Ahmed Mansoor after his conviction, as the ruling represented “an unacceptable attack on freedom of expression and freedom of association.” On 4 October 2018, the European Parliament also published a resolution to urge the UAE government to release Mansoor, as they were concerned that the arrest was an attack on a member of civil society in an effort to silence, imprison, and harass human rights activists, journalists, and lawyers. Despite repeated concerns from the international community and calls to release Ahmed Mansoor, on 31 December 2018, the court rejected his appeal and upheld the original ruling, which means that he has exhausted all legal remedies. 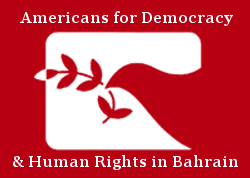 On the two-year anniversary of Ahmed Mansoor’s arrest, Americans for Democracy & Human Rights in Bahrain (ADHRB) condemns the arbitrary detainment, unfair trial, and ill treatment of Ahmed Mansoor for exercising his right to free expression. ADHRB urges the UAE to release Ahmed Mansoor immediately and unconditionally.